This response is now very true, except of course for two fellowship programs - geriatrics and palliative care. As we discussed in a previous post about the match, all the other subspecialties in internal medicine have agreed that residents deserve the opportunity to gain more exposure to future career options prior to deciding upon a particular fellowship path. These other subspecialties (by these I do mean all other subspecialties) are delaying 'match day' and have therefore moved decisions regarding which program residents would like to end up at until well into third year. "The diversity among programs in their respective timelines for application review, interviewing, and how and when to do what about making offers is frankly stunning. My process was cut short by a spoils-to-the-swift ethic. Because of the asynchronous timelines, I had to decline interview offers from programs I was very interested in. Given the inherent power disparity in the roles and the dynamics involved, I did not believe I had the latitude to walk away from offers from great programs in order to "explore my options" further. Perhaps my issue, but I doubt mine alone." I encourage you to read all of Brian’s post. 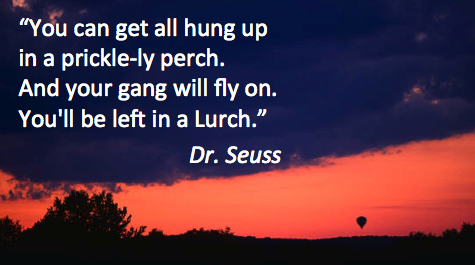 I'd also love to hear from fellows or faculty on what there concers are with a match for our fellowship programs. Or, if you are a fellow (or faculty) and would like to share your experience, please comment at either Pallimed or GeriPal with your own story (or email me directly). I have a hard time understanding why Geriatrics should not be in the match. Our exclusion risks undermining respect for our fellowship programs. Most of the arguments against the match seem to be focused on the concerns of fellowship programs, not the needs of residents. To even argue from this perspective is kind of an embarassement to the field. We have an obligation to due what is best for our future trainees, and that really should be the only consideration. Maybe we should stop talking among ourselves and ask our trainees what they want. We should survey our current fellows and find out if they would have preferred a match. And we should learn whether our prospective fellows would prefer a match. If the answer is yes, it is time to close out debate and do the right thing for our trainees. The lack of participation in a match not only hurts the applicants but also the program. It has been a fantastic ride this past interview season to see how many exceptionally qualified applicants were interested in applying to our Palliative Medicine fellowship, and some to our combined Geriatrics and Palliative Medicine fellowship. This speaks so well to how the popularity of our fields has grown. Unfortunately, the elation I felt was quickly dampened by the phone calls I got from applicants asking if they could interview ASAP because another program had just given them an offer and they had one week to give their answer. I would think, "How cruel of the other programs to put that kind of pressure on these applicants!". Then after rushing to squeeze in these candidates for interviews, we had to turn right around and ask them to give US an answer within a week because we had other applicants waiting to hear if there was room for them in our program. We had so many applicants we ended up having to rank them, and while waiting for the higher ranked applicants to give us a response, applicants ranked a bit lower ended up taking positions that were offered elsewhere because they didn't want to risk losing an offer (these were still candidates that we would have loved to train!). Then when the applicants that we were waiting to hear from respond that they decided to accept offers elsewhere, we were left empty handed despite such a great pool of applicants, and some of the potential fellows were left going to programs that were not their first choices. They lost out, and our program lost out. As the number of fellowship programs grow, we will all be competing for the same pool of applicants and without a match, i can see this becoming a lose-lose situation for everyone! I read your recent post about the geriatrics and HPM fellowship match with great interest. I completed a geriatrics fellowship and a HPM fellowship. Having been through this process twice I can tell you that it is a total mess. It became a game of who networked into the spots first. I know fellowship directors that have applicants lined up 2 years in advance of the spots even opening and seem more interested in their fellowships filling than in the actual quality of the applicants. Then on the other hand there were programs that took their time to interview all prospective applicants but never communicated a clear time line of their final decision. In doing this they lost great applicants because candidates can't just wait around hoping they are chosen, especially when there are only 1 or 2 spots available. Some programs left candidates in permanent limbo by never communicating that they made their final decision. I thought geriatric and HPM folks took pride in their communication skills and ability to communicate bad news? These skills certainly did not come across on the interview trail. As I tried to explain this situation on the interview trail, there was very little empathy expressed for the candidate's position. Programs basically said "It's first come first serve" or "You'll wait for us if we are your first choice." It was incredibly frustrating and in fact came off as very unprofessional. The "first come first serve programs" came off as desperate, while the "You'll wait for us" programs" seemed arrogant. Even with a competing offer in hand, I tried to openly communicate the dilemma to another program and as as a result they stopped all communication with me. I think they felt insulted that I was trying to rush or unfairly influence their decision. It was a terrible situation to be put in. Considering everything, I definitely think geriatrics and HPM need to be part of the match system. The asynchronous time lines and power differential is an awkward position to navigate through for both potential fellows and program directors. 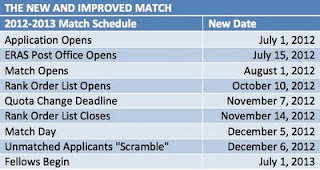 I think the new and improved match time line is very reasonable and will help stop the madness. I would like to echo Ken's post that we want to encourage people to apply for geriatric fellowships and so it makes sense to focus our 'needs assessment' on this group of trainees (i.e. residents). What do they want/need? We live in a 'learner centric' world and need to meet their needs. From an IM program director's standpoint, we have been hearing rumblings that Palliative Medicine was going to go "all in the match" for several years. 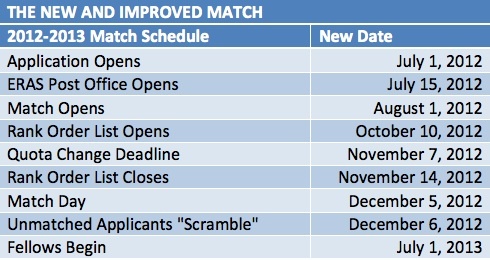 With the move by the MBMS to push back the application dates for the bulk of the medical subspecialities, it would be an ideal time for both Geriatrics and Palliative Medicine Fellowships to go "all in" for the Match. While it can be painful, the Match really does look out for the best interests of the applicants, taking away the pressure to accept a position offered without being able to explore all their options. Similarly, there is inherent benefit to the programs as well, for the same reason. How many of your programs have lost out on an great applicant because they interviewed at another institution first and took that position? As painful as the Match can be (and trust me, it can be) I do believe it is the most fair process for both applicants and programs alike. This was a good reminder for me as well as I am counseling my residents interested in Geriatrics and Palliative Medicine that the new rules for fellowship match may not apply to them.